Two days after their cross-country road trip drew national attention, Texas U.S. Reps. Will Hurd and Beto O'Rourke signed on to legislation one another is working on. 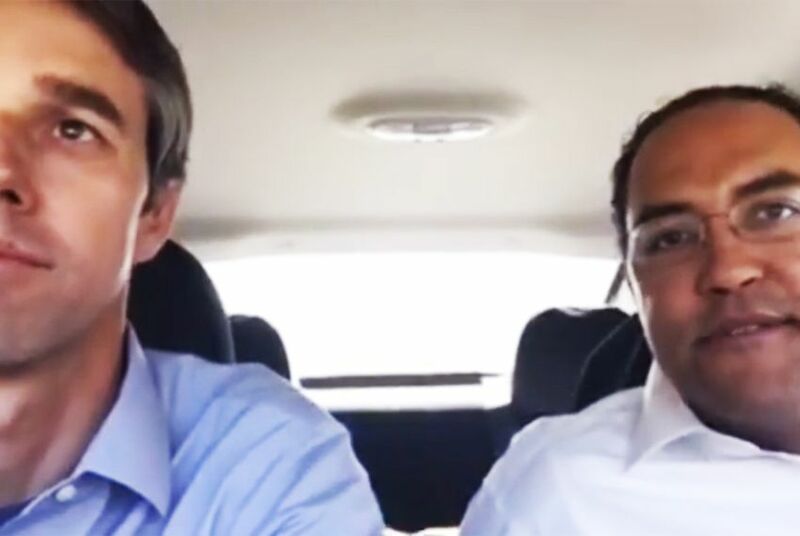 After spending two days in a car together, U.S. Reps. Will Hurd and Beto O'Rourke showed Friday their bipartisan road trip was not for nothing. Back at the U.S. Capitol, the two Texas congressmen signed on to legislation one another is working on, with Hurd, a Helotes Republican, lending his support to a cause that usually divides his party and Democrats: immigration. He became a co-sponsor on O'Rourke's American Families United Act, which would let family members of U.S. citizens who are barred from ever re-entering the United States on a technical issue to go before a federal judge to decide if they can return. "It’s not comprehensive immigration reform, but it’s part of immigration law that is not working for U.S. citizens right now, helps folks in our districts, helps folks throughout the United States," said O'Rourke, an El Paso Democrat, during a livestream of his meeting with Hurd on Friday. "And let’s hope that it shows our colleagues, Republicans and Democrats, that there’s a way to work on a contentious issue like immigration and find some common ground." For his part, O'Rourke added his name to Hurd's American Law Enforcement Heroes Act, which would make it easier for local police departments to hire veterans. Hurd is collaborating on the bill with U.S. Sen. John Cornyn, R-Texas. Like their road trip earlier this week — which began after winter weather derailed Hurd's flight back to Washington — the event Friday was livestreamed and put on display their budding friendship. After signing on as co-sponsors to one another's bills, they exchanged gifts. O'Rourke, who is of Irish descent, gave Hurd a green tie because he was not wearing the color for St. Patrick's Day. Hurd gave O'Rourke a framed map of their initial route to Nashville that Hurd had drawn. Here are the top things we learned about U.S. Reps. Will Hurd and Beto O'Rourke's road from their cross-country road trip. U.S. Reps. Will Hurd and Beto O'Rourke arrived at the U.S. Capitol on Wednesday, ending a two-day trek from San Antonio that drew thousands of fans.